The North American Datum of 1983 (NAD83) uses thousands of survey monuments and triangulation to create a reference frame for Earth. This reference frame allows surveyors, geodesists and cartographers to accurately map out locations on Earth with latitude and longitude locations. The North American Datum of 1983 corrected some of the distortions in the dated NAD27. 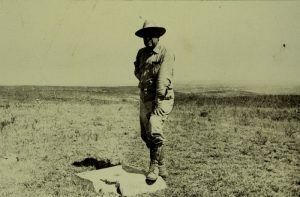 In the late 1800s, a mammoth collection of monument locations (survey benchmarks) began. Mathematicians used triangulation to connect survey monuments which was the basis of the horizontal datum that still exists today. 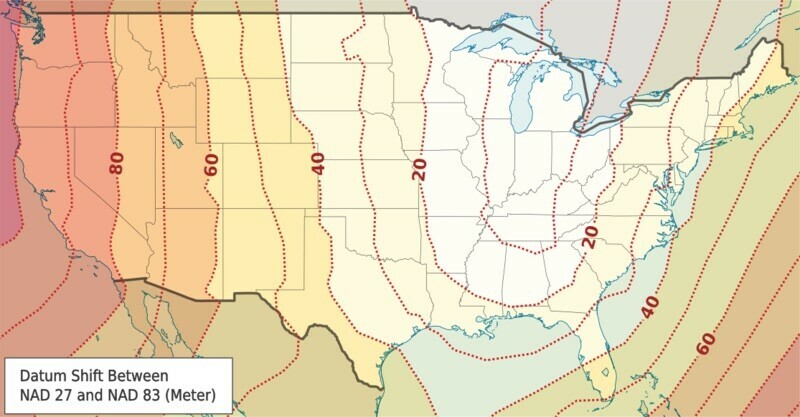 The result of triangulation from the unified network of survey monuments was North American Datum of 1927 (NAD27) and later the more accurate NAD83, which is still used today. These horizontal datums provide a frame of reference for latitude and longitude locations on Earth. Many maps were created using different datums and starting points in the past. 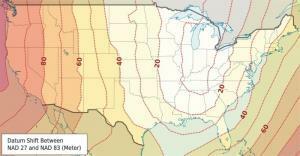 For example, the North American Datum of 1927 used Kansas as a starting point. Horizontal datums are continuously being improved even today. 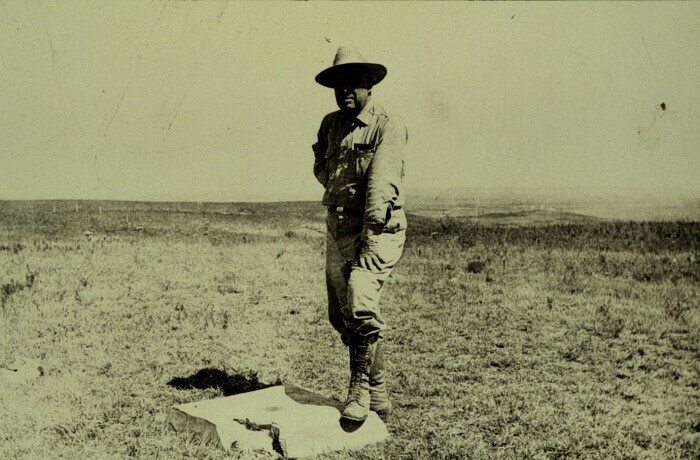 NAD27 uses the Clarke Ellipsoid of 1866 with a fixed latitude and longitude at Meade’s Ranch, Kansas (39°13’26.686″ north latitude, 98° 32’30.506″ west longitude). 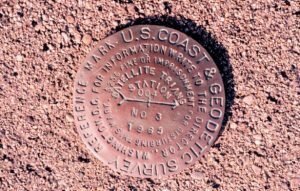 This means that all points in North America used this fixed point as a reference measuring direction and distance away. All latitudes and longitudes could be measured on the Clarke Ellipsoid of 1866. The North American datum of 1983 (NAD83) changed all of this and became a successor to NAD27. One of the main differences is that NAD83 is a geocentric datum. 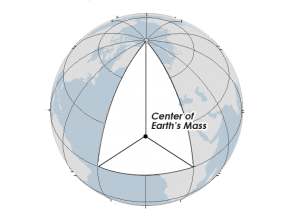 Geocentric means that it is referenced to the center of Earth’s mass – which is very different from being referenced to a location on Earth like Meade’s Ranch. 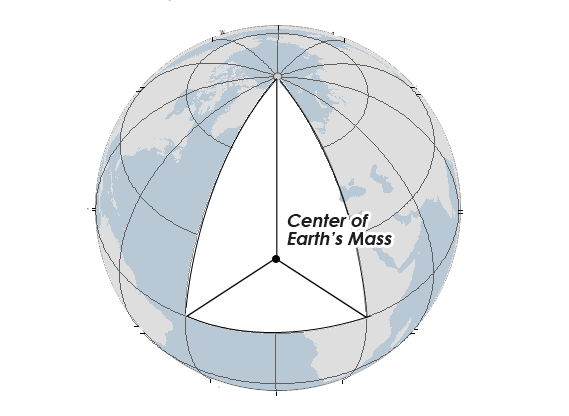 Although being a geocentric datum, it is still believed to be offset by about 2 meters. Even today, datums are continuously being improved. North American Datum of 1983 is based on the reference ellipsoid GRS80 which is physically larger than NAD27’s Clarke ellipsoid. The GRS80 reference ellipsoid has a semi-major axis of 6,378,137.0 meters and a semi-minor axis of 6,356,752.3 meters. This compares to the Clarke ellipsoid with a semi-major axis of 6,378,206.4 m and semi-minor axis of 6,356,583.8 meters. The North American datum of 1983 (NAD83) is the most current datum being used in North America. It provides latitude and longitude and some height information using the reference ellipsoid GRS80. NAD83 corrects some of the distortions from NAD27 over distance by using a more dense set of positions from terrestrial and Doppler satellite data. The National Geodetic Survey relied heavily on the use of Doppler satellite to locate the Earth’s center of mass. 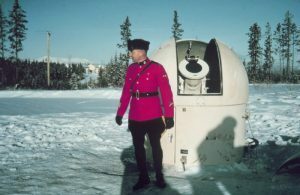 Approximately 250,000 stations were used to develop the NAD83 datum. This compares to only 26,000 used in the NAD27 datum. 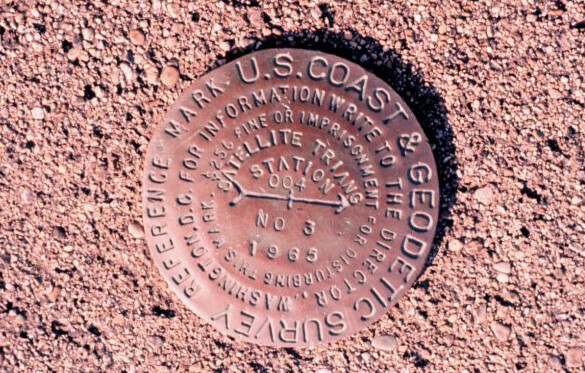 NAD27, NAD83 and WGS84 are commonly used geodetic datums in North America. The National Geodetic Survey has already indicated that it will be replacing NAVD88 and NAD83 in 2022 – because it is non-geocentric by about 2.2 meters. The new reference frames (geometric and geopotential) will rely primarily Global Navigation Satellite Systems (GNSS) such as the Global Positioning System (GPS) as well as an updated and time-tracked geoid model.